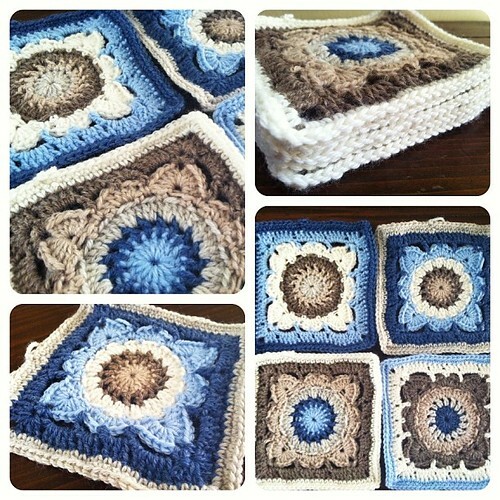 Posted in baby blanket, crochet, WIP's	by Giulia P.
It’s been another busy week. I have actulally resigned from my job because I might be about to start my dream job soon. I have an interview on thursday and I’ve spent the last 10 days preparing for it. I’m so nervous! Thanks God I have my personal kind of yoga… crocheting! It really relaxes me and helps thoughts getting reorganized in my head. Is it the same for you? 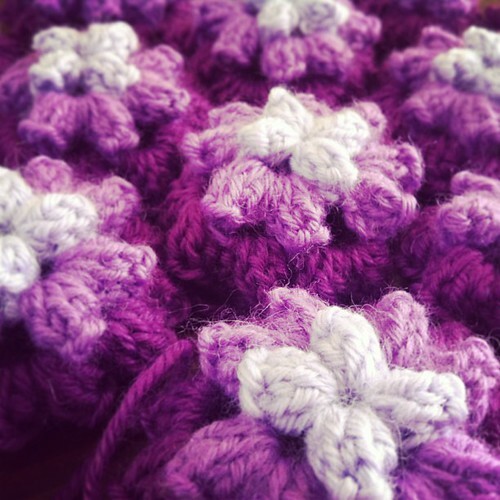 Does crocheting/knitting help you with feeling better? It definitely works for me. Anyway, I have almost completed my “Chocolate Macarons” baby blanket. 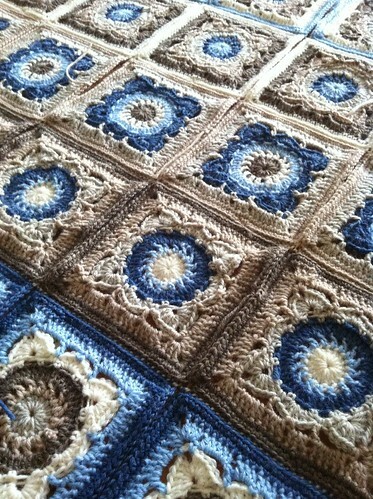 I am so so in LOVE with this blanket! lol It will be a pain to see it go when it sells. 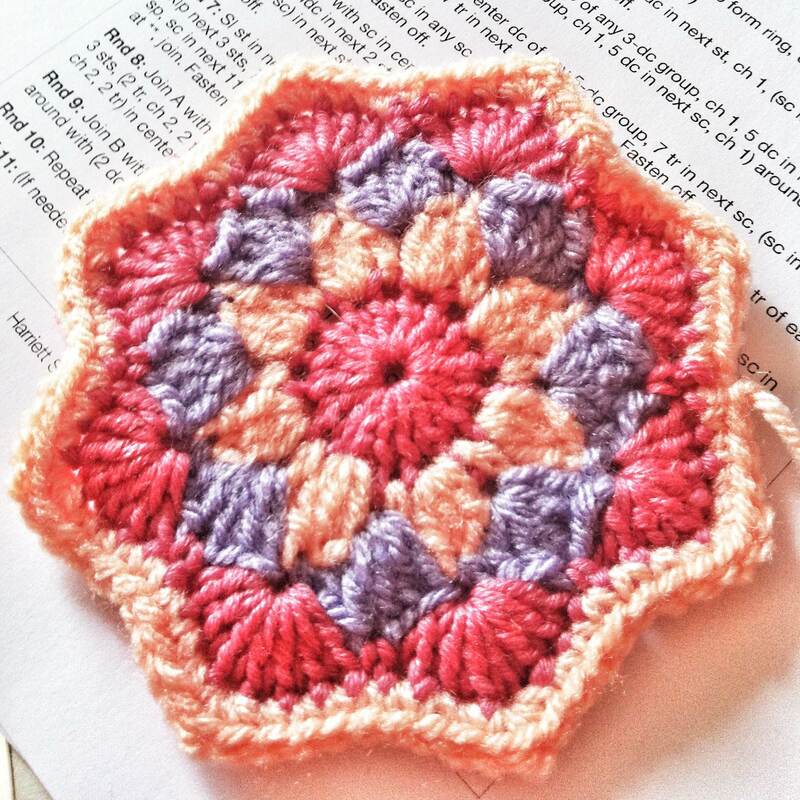 I have finished crocheting the 30 squares and started joining them. I actually wanted to mix and match them and join them in some kind of random (but not really) order. I tried a couple of combinations and realized that the rich pattern texture and the many colours would make it look messy and a bit confusing. So I decided to join the squares creating rows with the same colour combo and I think it was the right decision. It looks much better like that! Btw the blanket is available for preorder (and you’ll get a 5€ discount). I just can’t give you the finished measurements yet cause I also want to add a nice border, but it’s pretty big – stroller/crib size. Anyway, If you have any questions feel free to contact me. One third done… things are shaping up! I started joining. 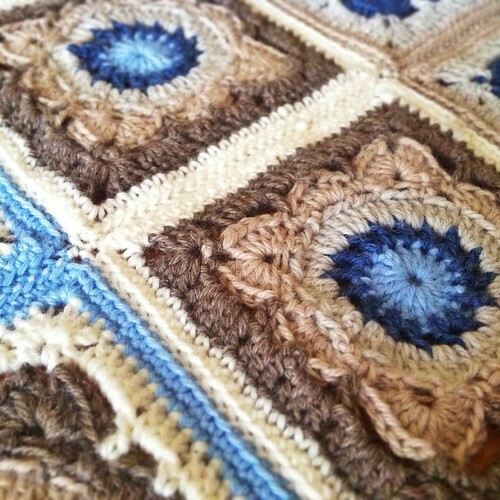 The squares are actually sewn together. 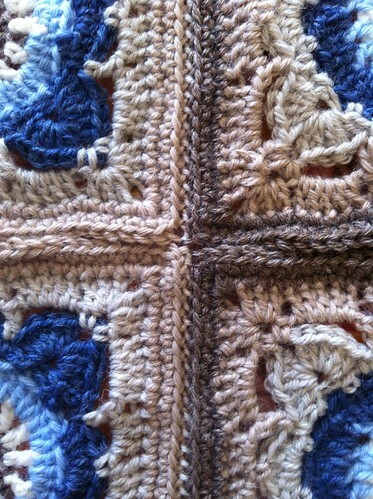 I prefer sewing than crocheting them together cause it just looks so much better. 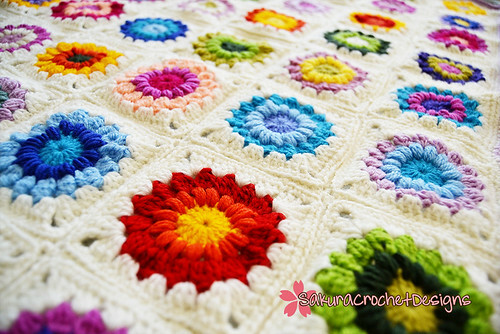 Posted in Afghan Blanket, crochet, Free pattern, Inspirational links, white rose blanket, WIP's	by Giulia P.
I have made 16 squares out of the planned 32 so far and it’s going to fit a single bed once it’s finished. I have also created a new mailing list for my online shop. 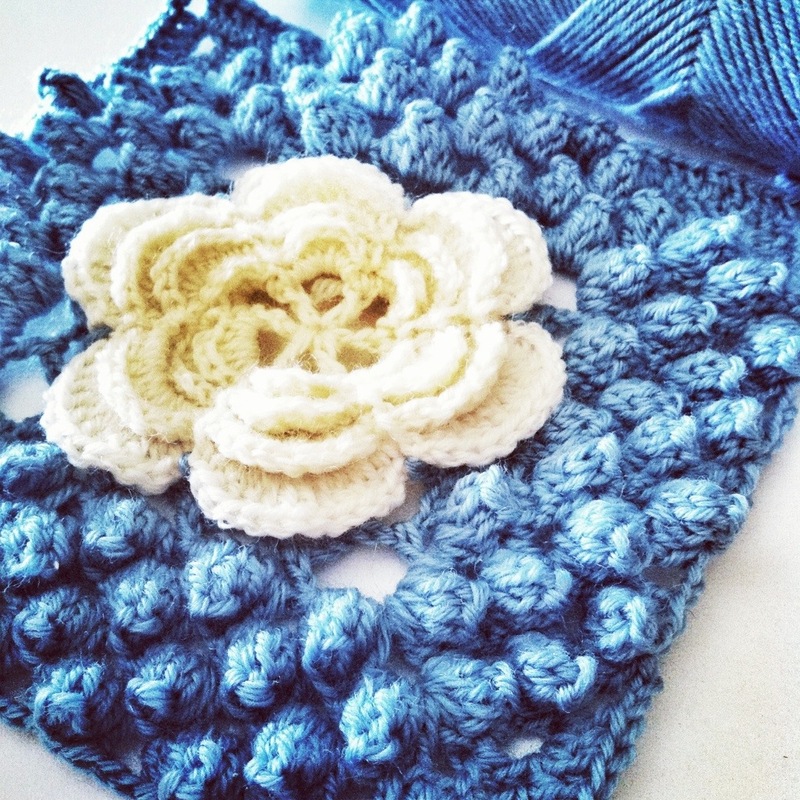 Subscribe now to SCD’s mailing list to get updates about new products, discounts, released patterns and custom orders! No spam, I promise: ) To sign up please click on the banner below. 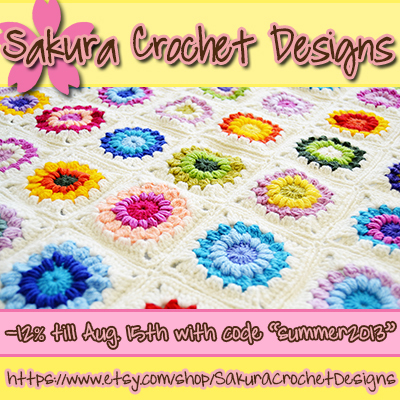 And last but not leats, from today till Aug.15th with code “SUMMER2013” you’ll get a 125 discount on all orders above 2€ placed at my ETSY SHOP. Enjoy! Posted in baby blanket, crochet, pattern for sale, WIP's	by Giulia P.
I am taking a break from studying just to share with you my latest work in progress 🙂 Crocheting really helps me relaxing after a whole day spent on the books. Some people do sports, some yoga or other activities… I sit on the couch, watch some food related tv program (normally Man vs Food, it makes me go crazy! lol) and crochet till my hands hurt! 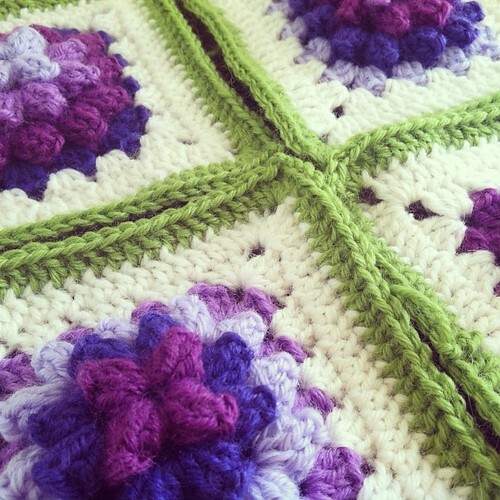 The idea for this blanket came to me while watching a Tv program on Channel Kitchen 24. We don’t have that channel in Italy, I just bumped into it while zapping during my recent trip to Austria and Slovenia. So yes, a lucky strike! In this program there was this woman travelling around Provence, France and showing all the recipes that you can make using lavender flower. She had collected an amazing bunch of these flowers and was just making cookies with them… how nice! I am just able to offer you a sneak peak… so enjoy! Finally! 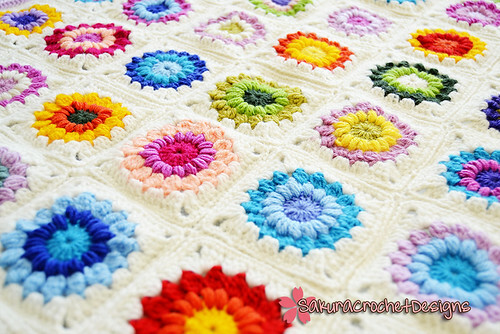 A beautiful crocheted baby blanket in very trendy and fashionable colours! Perfect for baby showers, birthdays and holiday gifts! 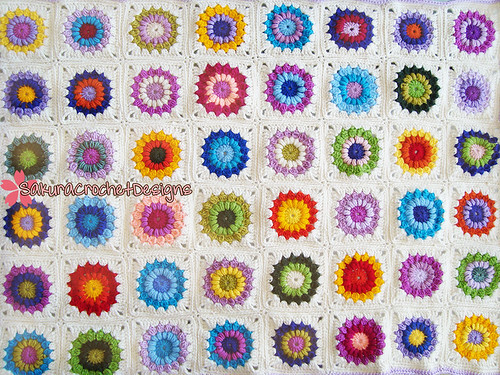 Blanket measures approx 90×70 and is composed of 48 squares, all featuring a different colour combination, in the shades of pink, red, blue and green. Please note that for this blanket I have used quality materials only, and in particular an acrylic/wool blend which is machine washable. It’s a bit more expensive, but you get a baby blanket which won’t change its shape after the fist wash and will always look perfect. 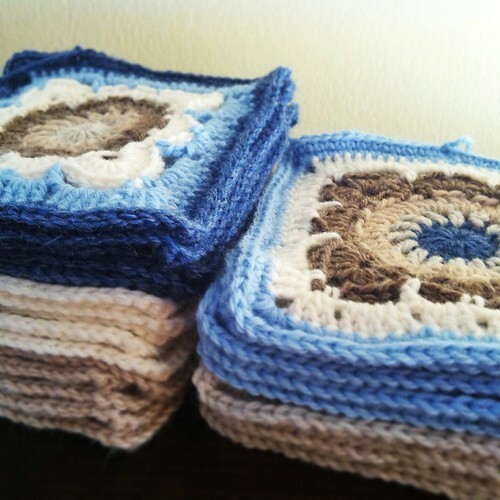 Don’t just get your baby A blanket, but rather that blankie that will accompany him/her for a life time! 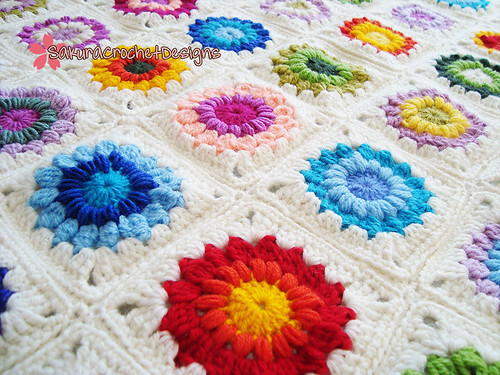 If you would like a similar blanket, but with different sizes/colours just email me at sakura.crochet.designs[AT]gmail.com and I’ll get back to you asap. 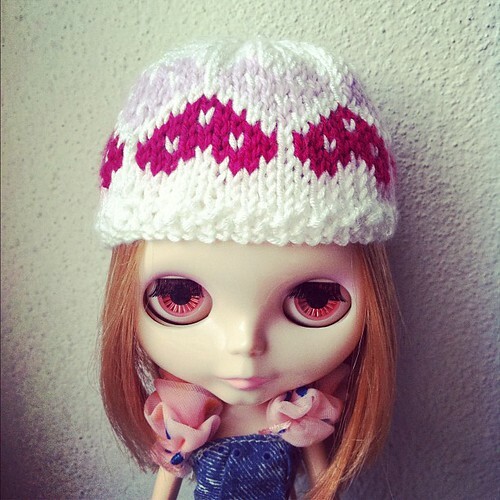 I am ALWAYS open to custom orders! 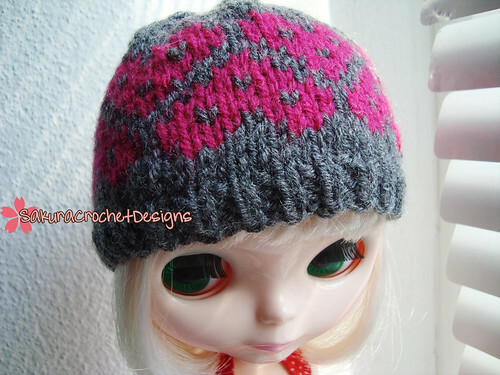 Posted in SCD	by Giulia P.
Hearts queen Hat II – check it out! 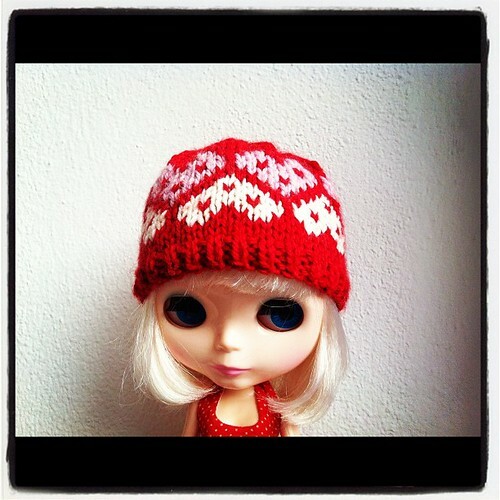 Posted in Blythe, Hat, SCD	by Giulia P.
Posted in Blythe, SCD	by Giulia P.
Hearts Queen Blythe hat – Check it out! Click HERE to be redirected to Etsy!